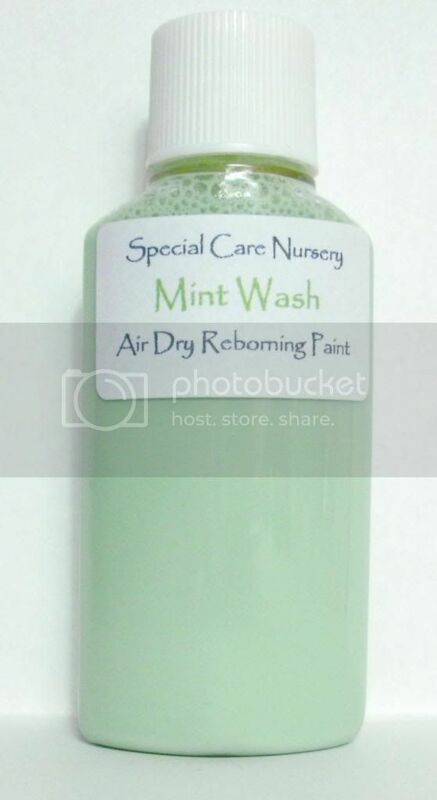 *The Washes* No.1 - 30ml MINT WASH from the Special Care Nursery range of paints for trouble free reborning! A 30ml bottle of our Mint Wash. This is used for the first layer of the colour building and neutralises any unwanted pink colour in the vinyl to allow for a natural skin tone to be built on. They are designed to be applied directly from the bottle with a damp brush to a damp sponge. However they can also be diluted further with our ready mixed Distilled Thinners with added Bonding Medium to be applied in even thinner, more subtle layers for even more added depth to the skin tones.